1.) Starting off the recipe wash and dry your scallions, cabbage and cucumbers. 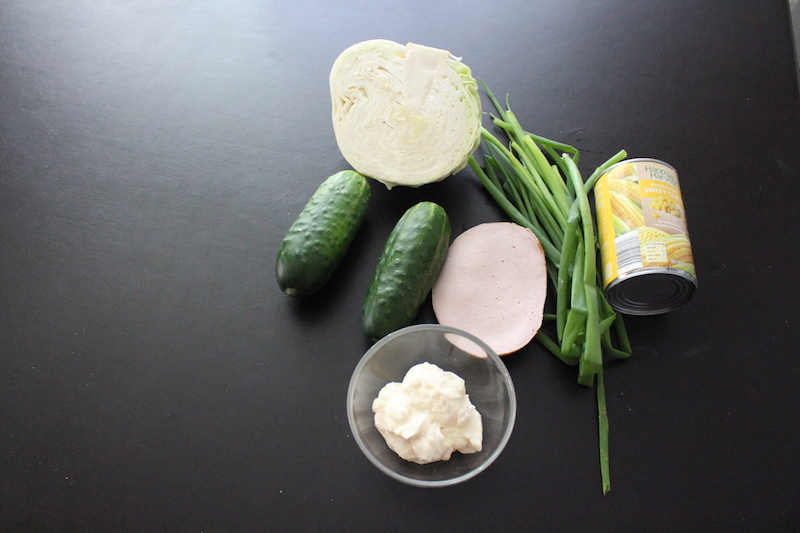 Cut your scallions, cucumbers and bologna. Shred your cabbage. 2.) Add all of your ingredients to a large bowl and mix tougher well. 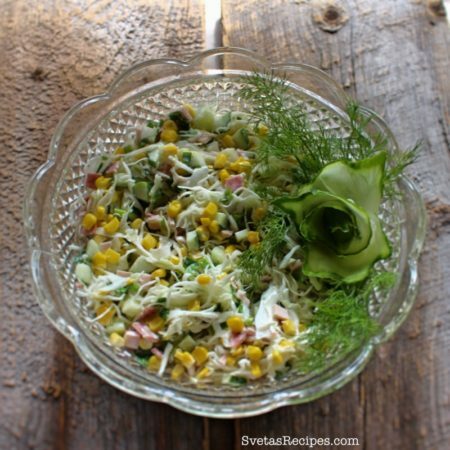 Place in a serving dish and enjoy. This salad is perfect for the fall, it is very easy to make and doesn't take any time at all! Starting off the recipe wash and dry your scallions, cabbage and cucumbers. 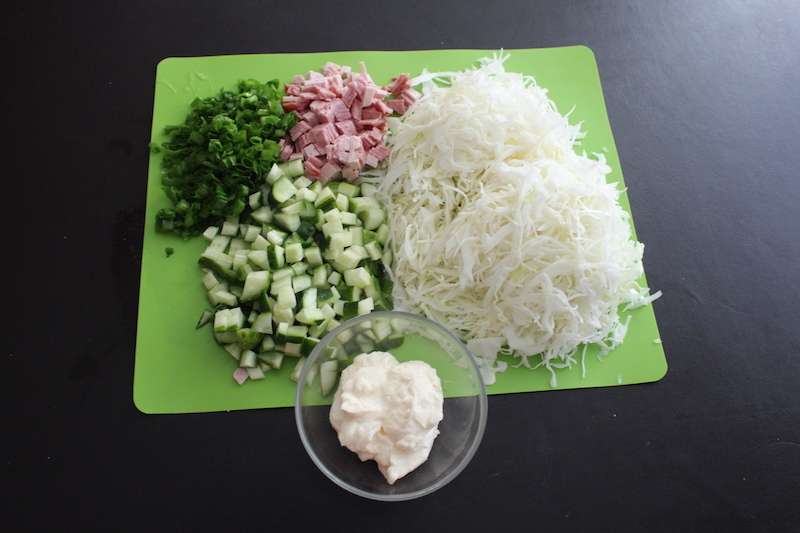 Cut your scallions, cucumbers and bologna. Shred your cabbage. 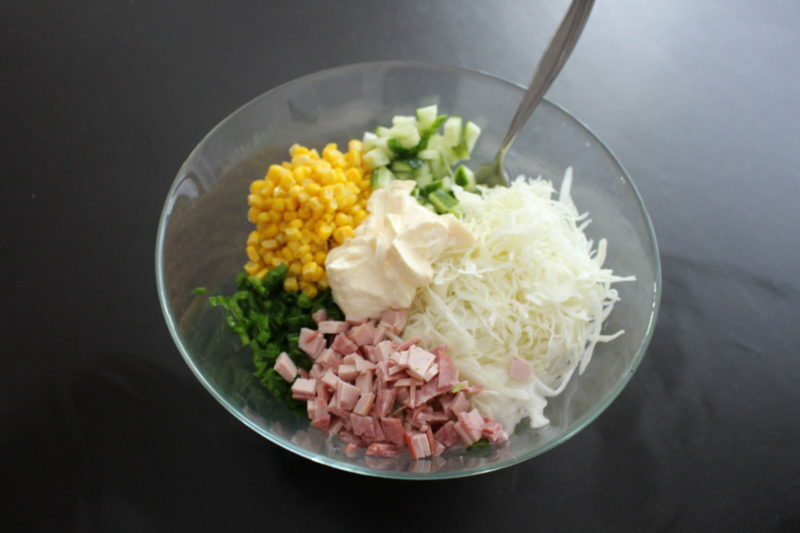 Add all of your ingredients to a large bowl and mix tougher well. Place in a serving dish and enjoy.